When I entered elementary, my science teacher introduced to me the importance of proper diet and of course the Food Pyramid is part of it. 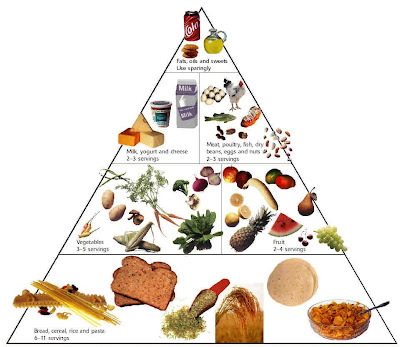 The pyramid is a striped triangle which shows suggested percentages of the daily diet for different food groups. This diagram has been used by a lot of food producers to convince the public that they are selling what has been said to be healthy. 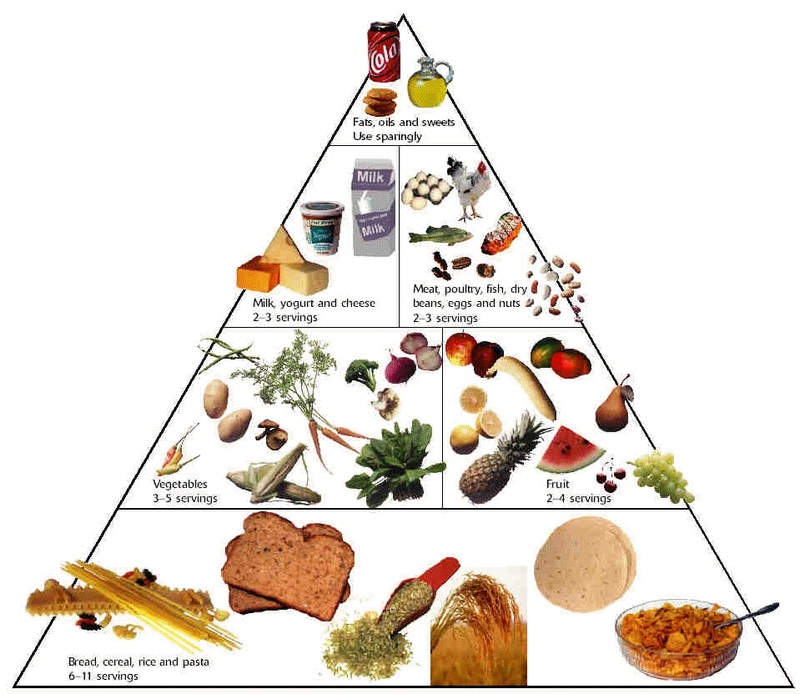 The picture above is the Food Pyramid. It was adopted by the USDA (United States Department of Agriculture) in 1992. Now that we are using it for almost two decades, USDA will now be presenting it in its new form or shape. The diagram features four sections: Half of the circle would be filled with fruits and vegetables; another section would feature rice, cereal and other grains; and the rest would contain proteins. There is also a circle in the upper right corner which represents dairy. It is somewhat easier to understand it this way. It is not enough that your illustration is informative, it also comes with the notion that it can be easily understood. Now I'm wondering the usual ad lines being changed as well. Instead of "according to the Food Pyramid", it will now become "According to the Food Platter".